Police Report | Blomberg, Benson & Garrett, Inc.
Blomberg, Benson & Garrett, Inc. When the police respond to an auto accident scene, they generate a report that contains a mixture of facts and opinion on the crash. The police report is not the final authority on the accident, but the report can affect your accident claim. Here is some of the information the police report can contain and how it can affect your accident case. Among the factual information the police report will contain is the time and date of the accident. The time and date not only authenticates that the accident did happen, but it may also shed more insight on the circumstances and cause of the crash. For example, if you were involved in an early morning accident, you should consider whether the other driver was fatigued or sleepy. If an accident occurs on the day of a major holiday or celebration, consider whether the other driver was intoxicated as people tend to drink more during celebrations. The location and environmental conditions may shed more light as to the cause of the accident. The police report will note whether there was snow on the road, whether the road was on a slope, and whether visibility was poor. The precise location of the accident may also help you identify any cameras that might have captured the crash. The police report will also contain contacts of witnesses and preliminary testimonies from the witnesses. Your legal team can use the names and phone numbers of the witnesses to track them down. You may use the witnesses' testimonies to strengthen your claims or refute the other driver's claims. Secondly, the police may also note what the witnesses at the scene of the accident saw or heard. Maybe someone heard tires squealing or saw the other driver on the phone just before the crash. You can make follow-up inquiries on such issues to strengthen your accident claim. The police report will also show if you or the other driver violated a traffic rule. Maybe the other driver drove in the wrong lane, made an illegal turn, or exceeded the speed limit. Such citations do not necessarily prove that the other driver is responsible for the accident. 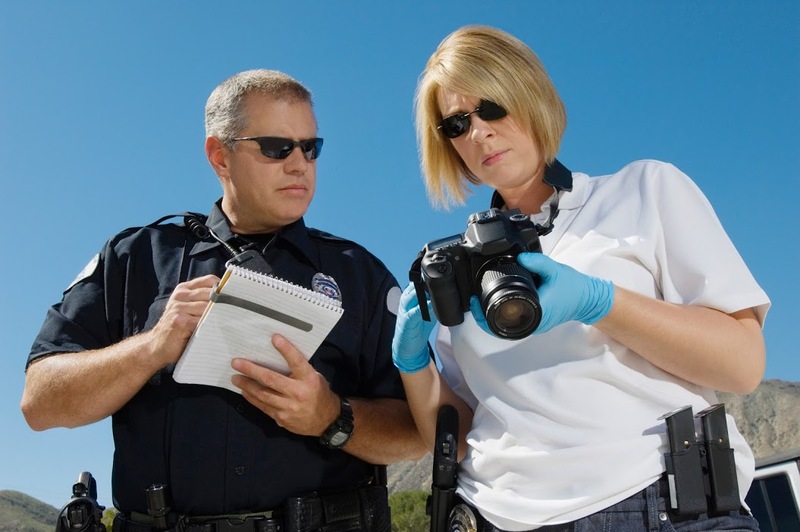 However, the violations provide a good point to start at for your accident investigations. In some cases, the police may also include an opinion on what might have caused the accident in the report. The police's opinion is not absolute proof of liability. However, the police are often right with their opinions, particularly in cases of uncomplicated accidents. Unless anyone has evidence to the contrary, you can use the police report to strengthen your claim. Take the example of an accident where the other driver hit you from behind because they were intoxicated and couldn't stop in time. The police report will contain the intoxication information and the inability to stop in time, which may help you hold the driver liable for the crash. Type and extent of damage and injuries are some of the crucial issues you should confirm after an accident. The damages and injuries will determine how much damages you can claim from the liable party. For example, a fender bender with minor scratches as injuries may attract lower damages than a high-speed crash that resulted in fractures. The police report will contain damage and injury details and help you authenticate your clams. Without such evidence, the other driver may claim that you sustained your injuries and damages elsewhere. Hopefully, the police report will be in your favor and help you get your accident damages. However, you can still make a claim even if the police report doesn't support you fully. Contact Blomberg, Benson & Garrett, Inc., for a free initial consultation of your accident case. We will assess the circumstances of the crash and help you pursue your damages. Copyright © 2019 lawbbg.com | All rights reserved.